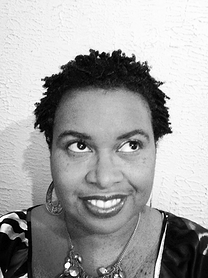 Midwest Dramatists Center: Congratulations, Michelle T. Johnson! It's been a big couple of weeks for MDC's Michelle T. Johnson: multiple honors in multiple cities for multiple plays. On June 23, New York City's Planet Connections Theatre Festivity announced that Johnson's play Trading Races: From Rodney King to Paula Deen had been nominated for three separate awards. Christopher King got the nod for Outstanding Direction, while Melanie Matthews and Andrew Chupa were nominated for Outstanding Actress and Outstanding Actor, respectively. The award winners will be announced August 3. Then, just last week, BrainSpunk Theater in Philadelphia, which also produced Trading Races, as well as Johnson's one-act Wiccans in the 'Hood, announced that it had named Johnson as its new Playwright in Residence, with a commitment to produce a new play by Johnson in its upcoming 2015 season.